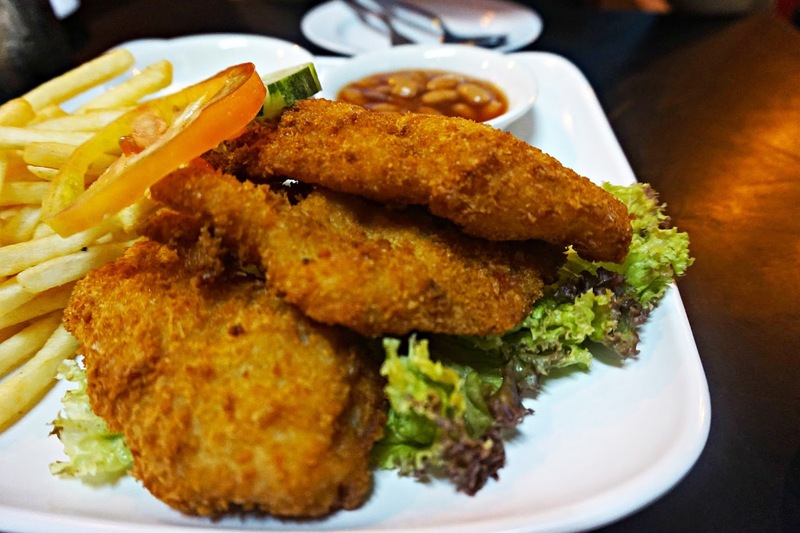 If you are looking for an affordable place to get your salted egg fix, LeBan HK Café is an ideal location. Situated at 2 Jalan Leban, being the first stall along the stretch of shop houses, it is impossible to miss it. Besides, their vibrant coloured logo will definitely stir up your curiosity. Salted Egg Wing ($7.20) - The deep-fried wings were perfectly prepared; crispy on the outside, juicy and tender on the inside. 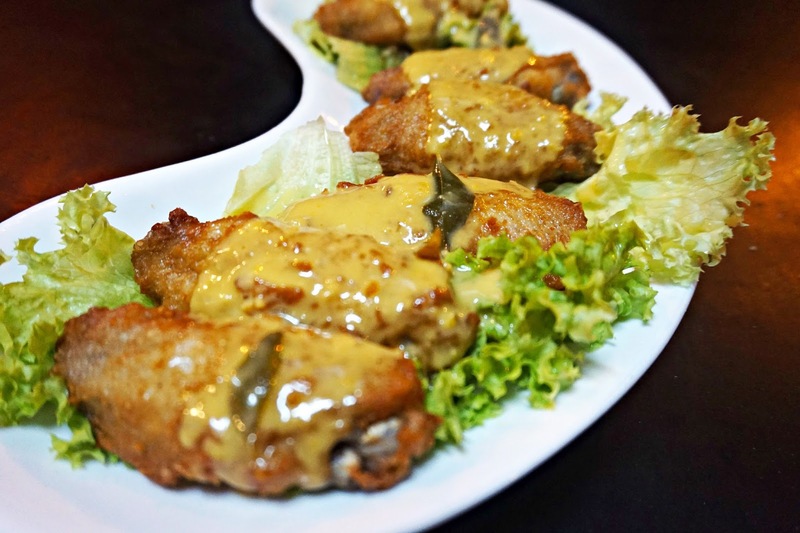 The salted egg york sauce matched well with the wings but I feel that it would taste even better if it was more flavorful and they were more generous with the sauce. 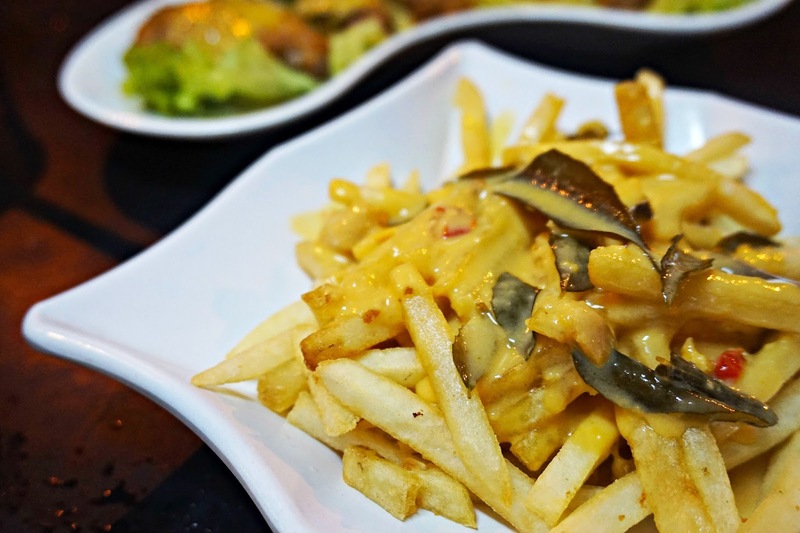 The Salted Egg Fries ($6.80) was served in huge portion suitable for sharing among 3 people. Dory Fish and Chips ($9.20) - This order is definitely a sharing dish. 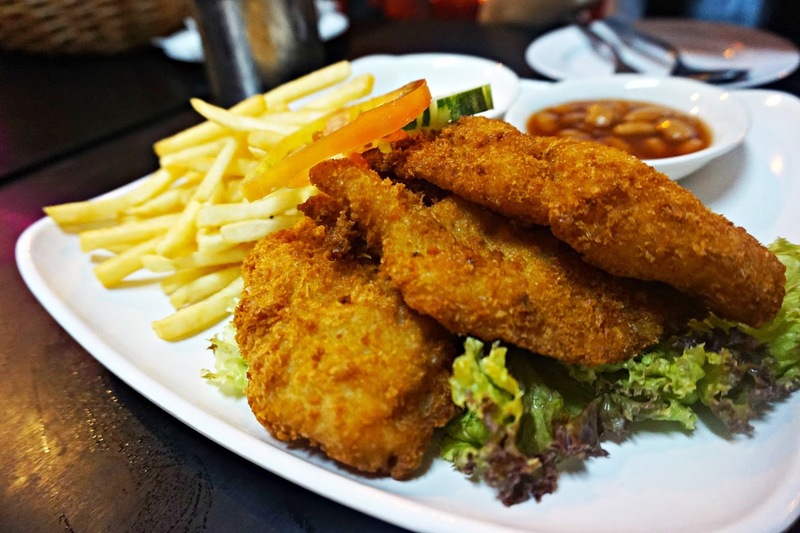 The 3 huge pieces of Dory fish slices already filled up half of the plate. The fishes were well fried and drained, so it doesn't taste oily of any sort. The flavouring was good enough for the fishes to be eaten without needing additional sauces like mayo or chilli.